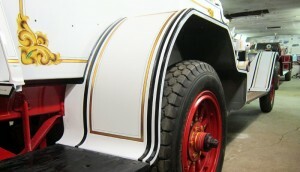 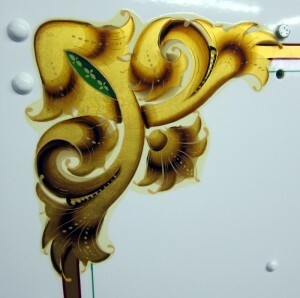 In October 2011 members of the Larchmont Historical Fire Company again traveled to Firefly Restorations in Hope, Maine, to see how the restoration was progressing. 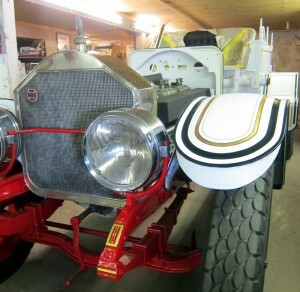 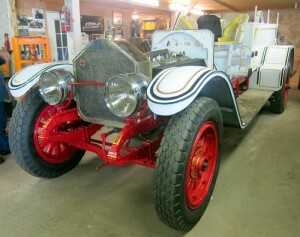 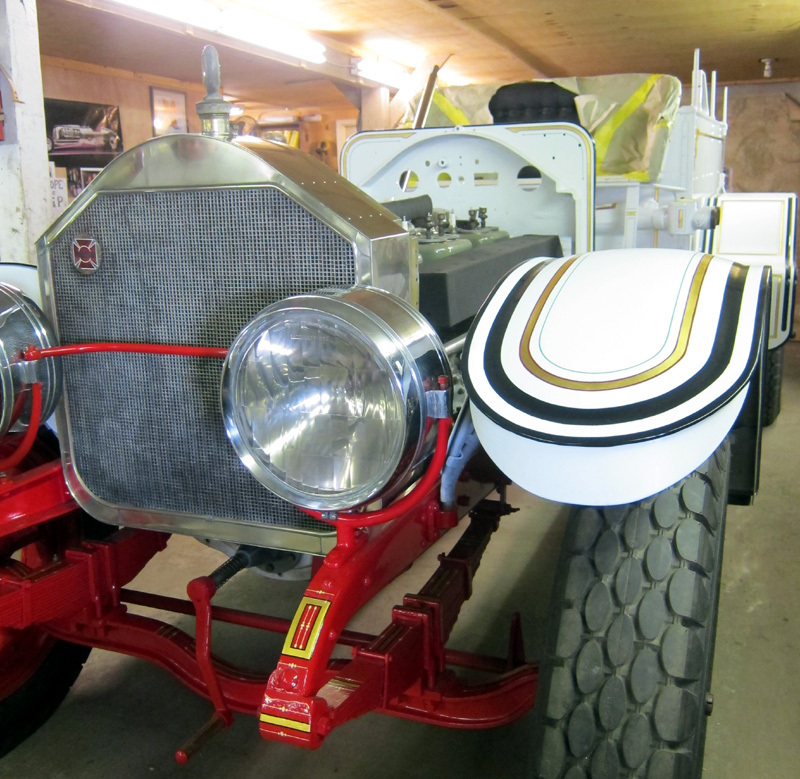 Engine One in the original white with American LaFrance decoration. 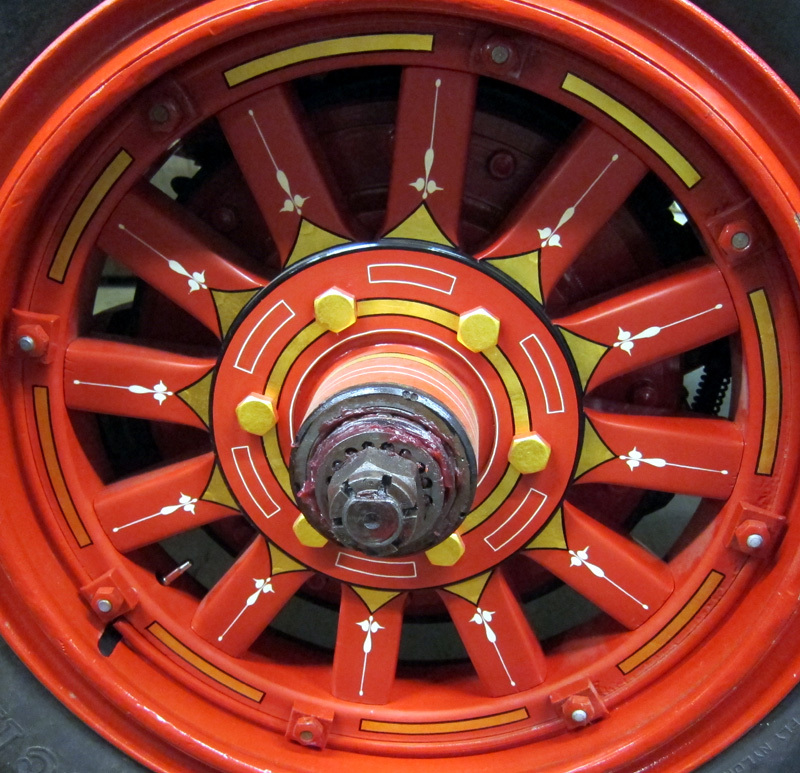 The wooden wheels are painted and decorated. 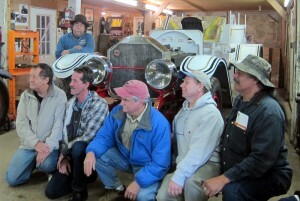 Ned Benotn, PJ Abrahamsen, Jim Sweeney, Harald Duell and Ray Maldonado. 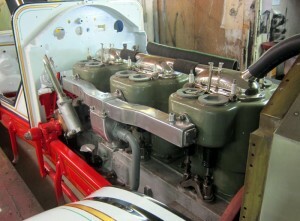 Upper left is the restorer, Andy Swift. 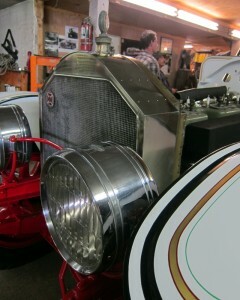 The original headlamps need little restoration. 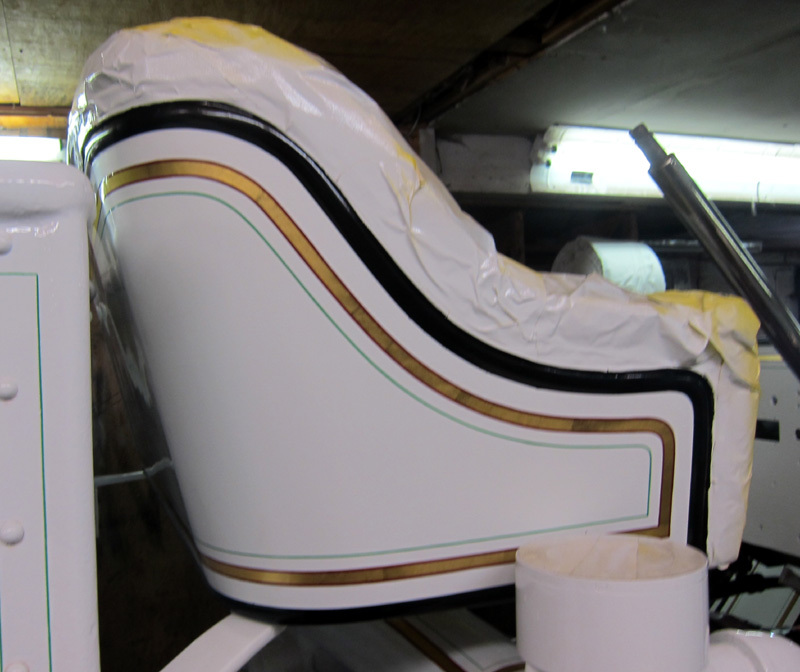 The seat is repainted and the painting is restored. 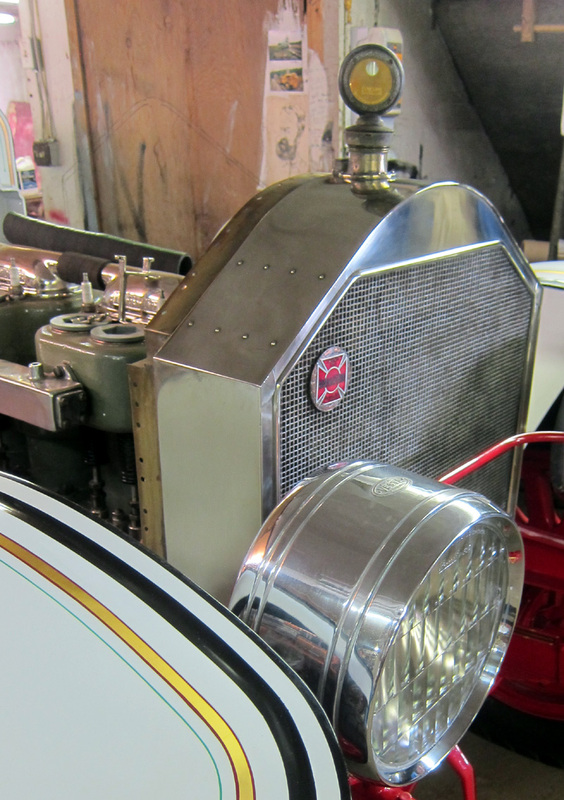 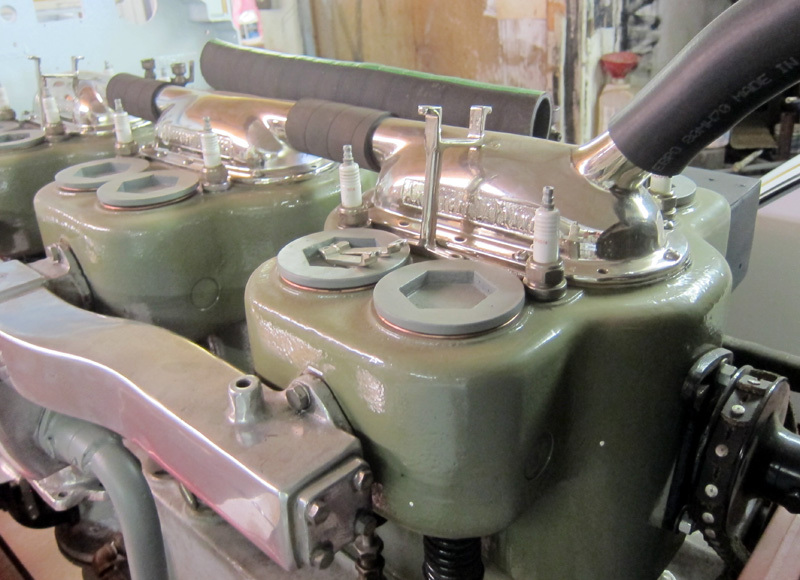 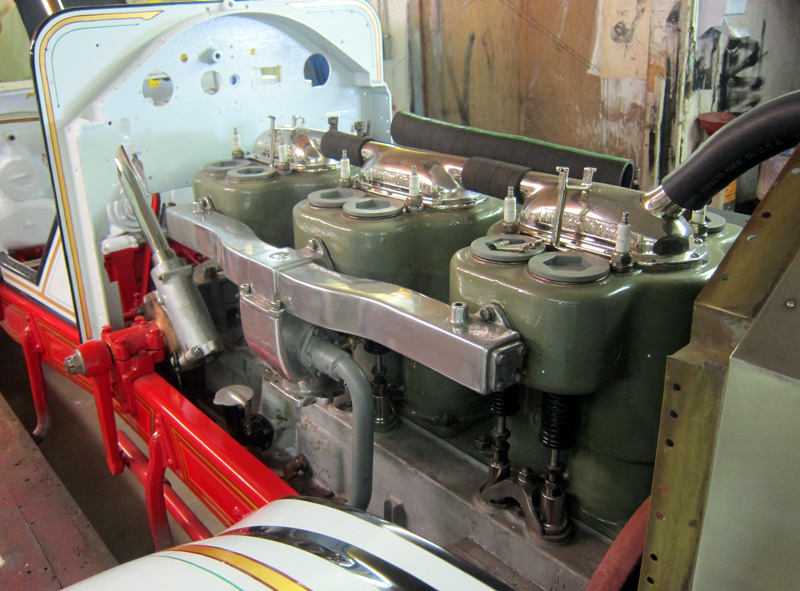 The radiator chrome is returned to the original lustre.